Yo, LEGO execs: I don't know if you can hear me from your plastic thrones deep within Mordor (LEGOLAND Edition), but here's a gift from the past to help you shape the ads of the future! 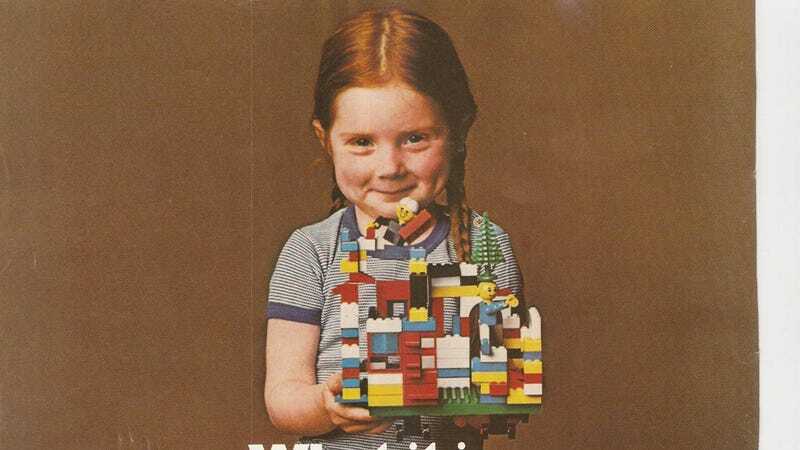 Although girly LEGO aren't all bad — they'd be less annoying if they were marketed to both girls and boys — I have to say that this ad is all sorts of wonderful. And not just because that little girl is repping hard for the gingers. It's playful, clever, and appealing to both children and adults. Update: An earlier version of this story incorrectly stated that this was not a real ad — it is! Yay!